Michael Schumacher 2007 Bye-Bye Schummi Cap. 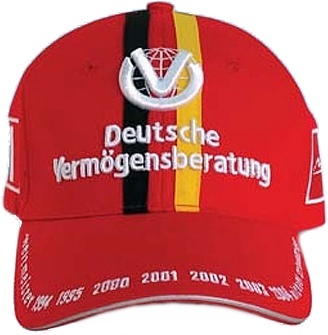 This is the 2007 FINAL Michael Schumacher DVAG Sponsor cap ! 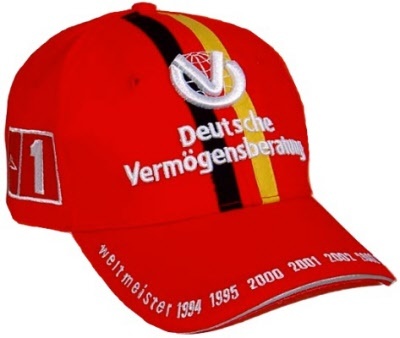 The front features the by-now familiair 3D DVAG logo (Michael's personal sponsor) but this time on a background in German flag colours.